Salefish wins the NAHB’s Global Innovation Award! The National Association of Home Builders (NAHB) has named Salefish the Global Innovation Award winner for 2016. This is a huge achievement for us this last year. Each year NAHB selects a winning company by looking for the best combination of design, functionality, innovation and usefulness to both builder and consumer. “Salefish offers a unique software product that allows for greater ease in the home buying process for both buyers and sellers,” said board chair Roger Lyons, who presented the award during the NAHB International Builders’ Show in Las Vegas. “I am pleased to honor Salefish with this award, and look forward to seeing its positive effects on the industry. We provide a cloud-based point-of-sale (POS) real estate software for the real estate industry. Salefish offers a unique and interactive experience for both buyers and sellers alike. Within each segment, we provide an integrated software solution that includes a sales office interactive experience, a point of sale application that can be used on site or remotely, and a customer facing application that allows purchasers to buy homes and condos online. For this reason, the NAHB Global Innovation has award our real estate software as “cutting-edge, advanced and original”. 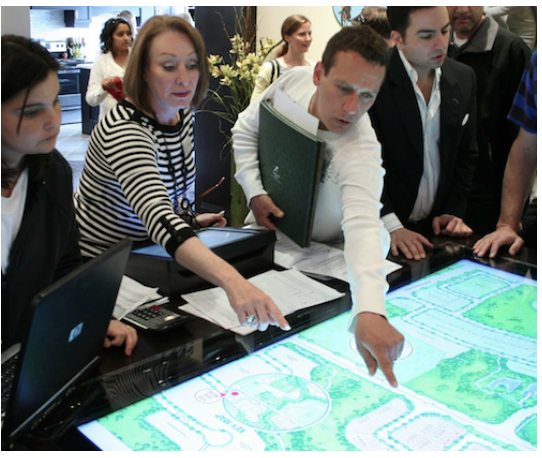 At Salefish, we are committed to provide users with the most innovative home or condo buying technology available today. Our software is a perfect match for developers, builders, sales agencies and even real estate offices. Ask us to take a test-drive of Salefish today.